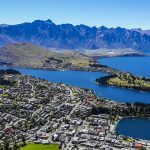 The Best Hostels in Queenstown, New Zealand. Not sure where to begin looking for the best hostels in Queenstown? We’re here to help you pick and choose a great Queenstown hostel for your travel needs. 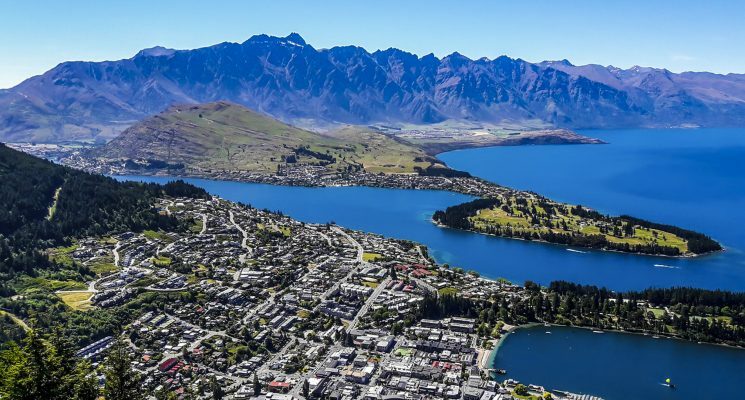 Queenstown is located on New Zealand’s South Island, nestled among the cascading peaks of The Remarkables and on the banks of Lake Wakatipu. 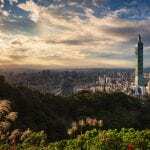 It’s not an exaggeration to say that its natural beauty is simply astounding. If you’re an adrenaline junkie then Queenstown is bound to capture your interest. You can do anything from skiing, to speed-boating, to sky-diving here. If you’ve ever wanted to tie yourself to a rope and jump from a terrifying height, then what better place to do it than in the birthplace of bungee jumping? 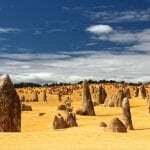 People come from all over the world to experience the adventurous spirit of this humble city, and the breathtaking natural beauty that its surroundings have to offer. Queenstown is one of New Zealand’s tourist hot-spots. People travel to the corner of the globe from far and wide to experience what Queenstown has to offer year round. 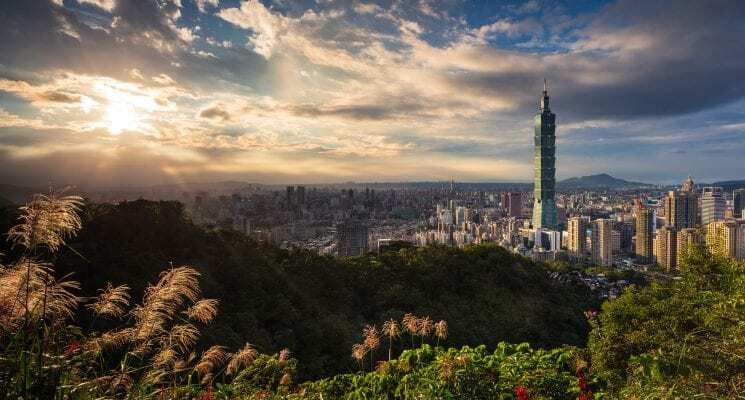 The hostel scene here is booming, with plenty of fantastic options to choose from, whether you’d prefer a tranquil getaway or want to experience the lively backpacker party scene. We have put together this list based on what we personally expect out of a great Queenstown hostel. 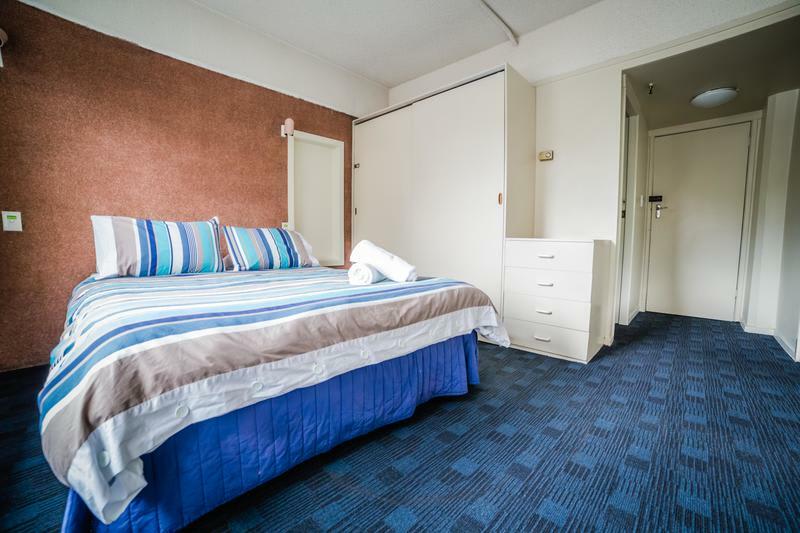 Clean rooms, comfortable dorm beds with power outlets, secure luggage storage, friendly atmosphere that encourages interaction (but doesn’t force it), and a communal kitchen are all super important aspects in our eyes, and we prioritize them when suggesting the best Queenstown hotels. All of these are factors when it comes to making our selection of the best hostels in Queenstown, New Zealand! Small and cozy, Adventure Q2 Hostel is one of the best hostels in Queenstown for travelers seeking a balance between quiet and social. The hostel only has 55 beds, which makes it easy to get to know your fellow hostel mates. Adventure Q2 is located smack bang in the center of town, facing the Village Green, which means you’re less than a five minute walk from plenty of restaurants, bars, shops and supermarkets. The hostel regularly hosts events which encourage guests to socialize such as quiz nights, movie nights, pub crawls and even Mario Kart nights. The friendly and social atmosphere is one of the things guests love most about this hostel. There’s a tour desk where the amicable staff will happily provide you with information and help you plan activities. You can even borrow GoPros to film your epic adventures! 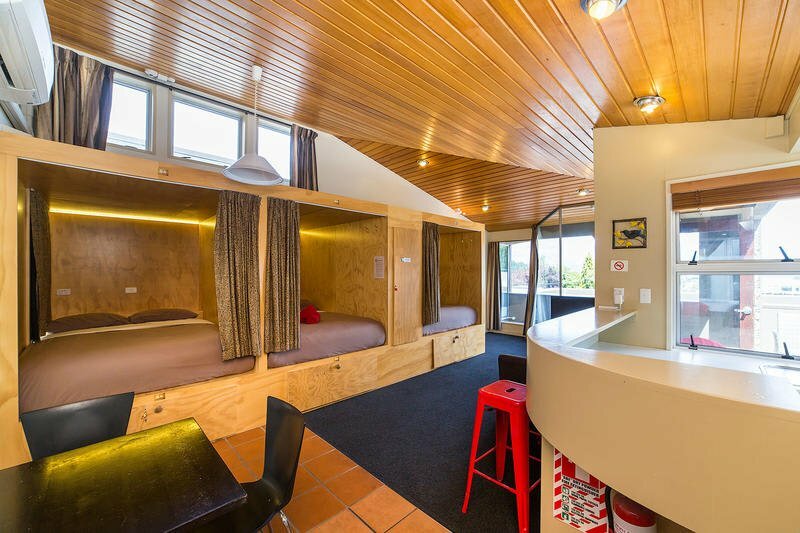 This Queenstown hostel offers dorm rooms with custom made timber bunks. The mattresses are super comfortable, and every bed has tons of storage space to keep yourself organized. Each guest has their own reading light and charging facility too. Although it’s a small hostel, there’s still plenty of common space to relax and hang out in. The fully equipped guest kitchen is a huge plus, and cooking your own food is a great way to save a few bucks while traveling. Click here for the cheapest rates on this amazing Queenstown hostel! This Queenstown hostel has a fully equipped guest kitchen, super clean bathrooms, and balcony spaces to chill out on with a nice cold beer or two. The staff host events five nights a week, which include movie nights, quiz nights and pub crawls. If you’re wondering where to book your adrenaline-fuelled activities, ask the experienced and knowledgeable staff for some recommendations. 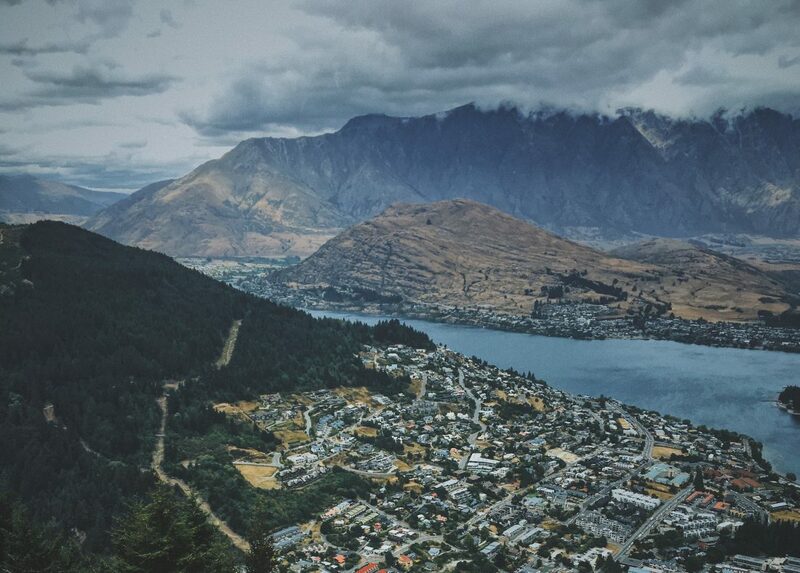 Adventure Queenstown offers travelers all the facilities expected of a fantastic hostel at great prices, and its central location means that you have all the magic of Queenstown right on your doorstep! 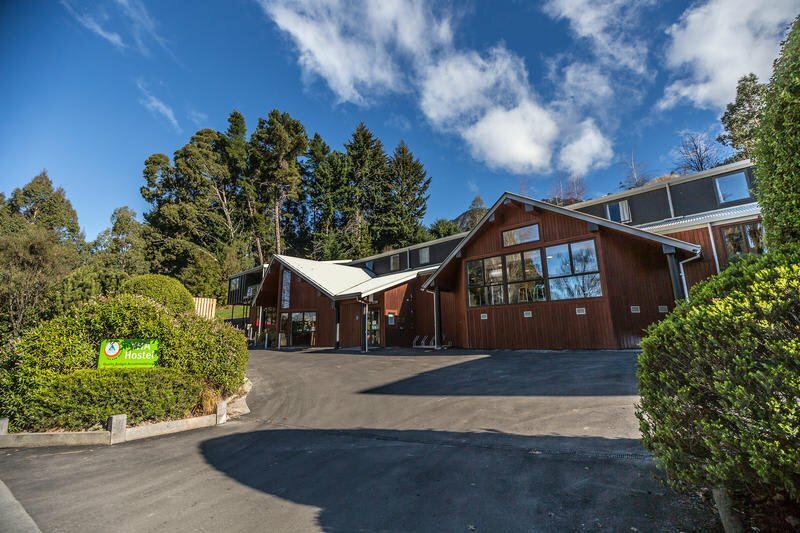 The staff of this Queenstown hostel have plenty of experience with all things adventure, so don’t hesitate to ask them for help with making reservations. They also have plenty of ski gear for hire if you want to give the slopes a go. Absoloot Value Accommodation is a one of the best boutique hostels in Queenstown, offering flash-packer style accommodation at an affordable price. The large, modern communal kitchen of this Queenstown hostel is fully equipped with multiple microwaves and stoves, and plenty of bench space for you to act as master-chef. The Lounge Room is open to guests 24 hrs, where you’ll find a Nintendo Wii, XBox 360, board games and a 42 inch LCD television for movie nights. There’s also a little library where you’ll find plenty of page turning books to keep your mind busy for a few hours. Absoloot Value offers spectacular views out over Lake Wakatipu. Fetch yourself a free cup of steaming hot coffee or tea and wake up with New Zealand’s outstanding natural beauty. This stylish boutique style hostel is one of the best hostels in Queenstown for travelers who enjoy a few extra luxuries when traveling. You can plan all your activities with the help of the staff at the tour desk – so make the most of all that Queenstown has to offer! Comfortable and centrally located, Southern Laughter Backpackers is one of the best hostels in Queenstown and the ideal place to rest your weary head after a day of adventurous activities. Located just a short walk from plenty of bars, restaurants, and shops, you’ll have everything you need close by. 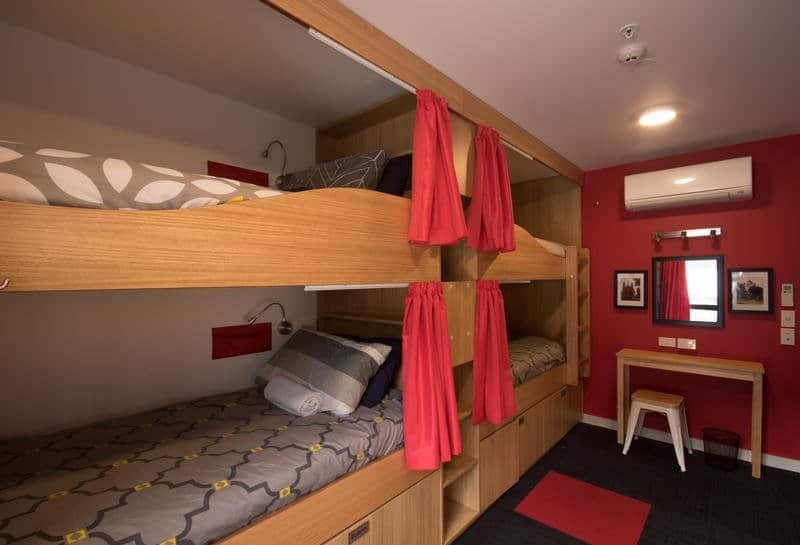 This Queenstown hostel offers comfortable and spacious dorm rooms which provide guests with comfortable beds, warm duvets and power outlets for charging your devices. Guests have their own secure locker facility to ensure their valuables don’t go walkabout. There are two fully equipped kitchens where you can cook up a storm, as well as a TV lounge for relaxing in, and two BBQ decks offering astonishing views of The Remarkables. The staff at the reception desk can help you organize any adventurous activities you fancy trying out. Whether you’re more enticed by the idea of jumping out of a plane, or calmly cruising on the breathtaking Milford Sound, they’ve got you covered. A comfortable fully equipped hostel perched right on the shores of Lake Wakatipu, YHA Lakefront is one of the best hostels in Queenstown for those who want to get up close and personal with nature. 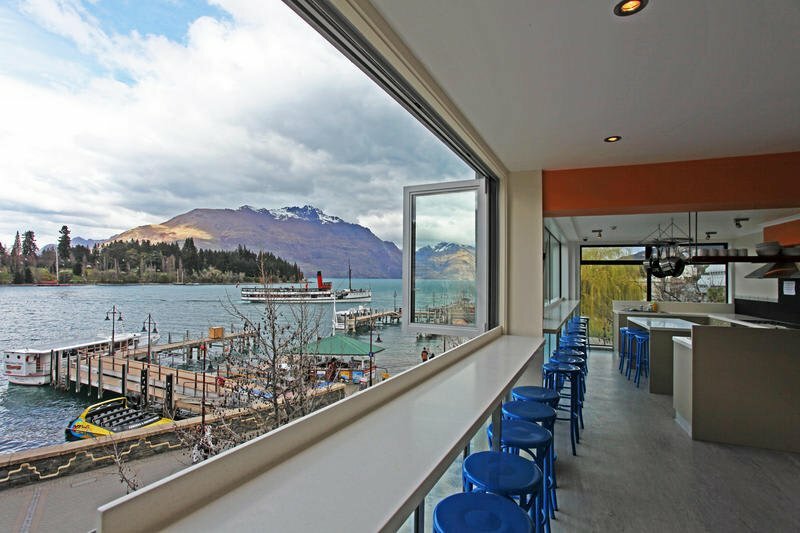 This Queenstown hostel is just a 10 minute walk into town, meaning guests can enjoy the best of both worlds – the tranquility of the lake within close proximity to bars, restaurants and shops. Choose from dorm rooms or private rooms. This makes it one of the best couples hostels in Queenstown for budget travelers. Each room is modern and comfortably furnished with everything you need. Guests have access to power outlets and secure lockers for keeping valuables safe. Relax in the communal lounge area or take in the views from the outside deck of this Queenstown hostel. If you fancy yourself a bit of a culinary connoisseur, or you’ve just on a tight budget and can’t afford to eat out every night, there’s a fully equipped communal kitchen for guests. The friendly staff at YHA Lakeside provide you with a free travel booking service. Make sure you check out the special YHA deals that are on offer! 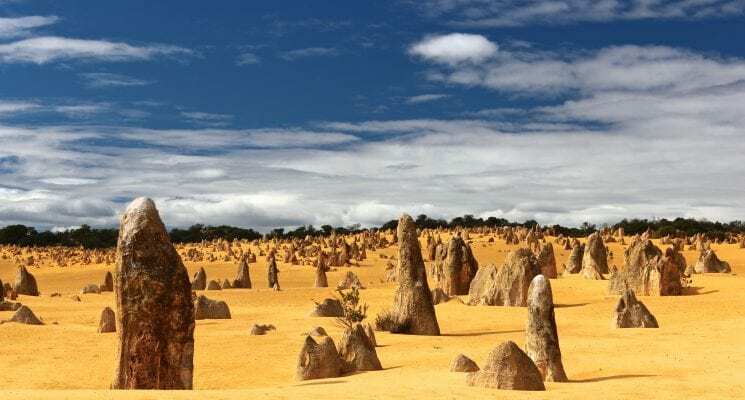 Whether you fancy jet boating, skydiving, bungee jumping or you’re a huge Lord of the Rings nerd – you won’t have a problem filling up your itinerary here! If you are looking for an affordable, chilled out, and friendly accommodation option, then Bumbles Backpackers is definitely one of the best hostels in Queenstown for you. The modern and spacious dorms and private rooms provide you with everything you need for a great night sleep. Power outlets, locker facilities and views that you’ll be more than happy to wake up – you’ll be well looked after. Situated just 300 meters from the buzzing center of downtown Queenstown, Bumbles Backpackers provides you with the best of both worlds. The stunning lakeside location means you can enjoy the peace and quiet without being too far away from the excitement of the city. Offering fantastic views of the lake and surrounding mountains, you’ll be blown away by having New Zealand’s raw beauty right outside your window. It’s peaceful location gives Bumbles Backpackers a more relaxed atmosphere than some of Queenstown’s bigger hostels. Some of the hostel’s fantastic facilities include a relaxed living area with lake and mountain views, a large modern communal kitchen and dining area, off-street car and campervan parking, a large garden and a travel and tours desk for booking excursions. 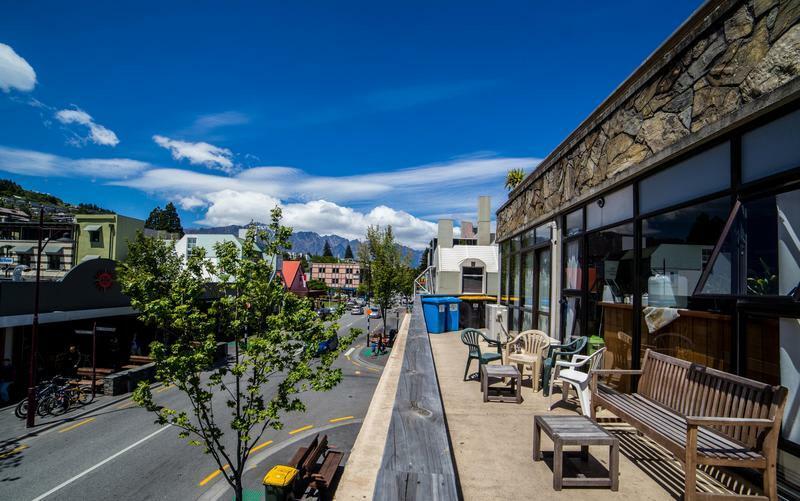 The friendly staff of this Queenstown hostel are well informed about the endless activities on offer in the area, and will be more than happy to help you out with great packages and discounts. Tahuna Pod Hostel is the very first Pod Hostel open in New Zealand, and has quickly made a name for itself as one of the best hostels in Queenstown. It brings Maori heritage and traditional values into the fabric of its design. They want to share insights into beautiful Maori culture through art, music, movies, food and entertainment, which all comes together in this fabulous concept hostel. Each of the stylish pods were handmade in New Zealand using sustainable materials. Each pod features a privacy curtain, individual power outlet, USB point, reading light, shelf, and luxurious mattress. 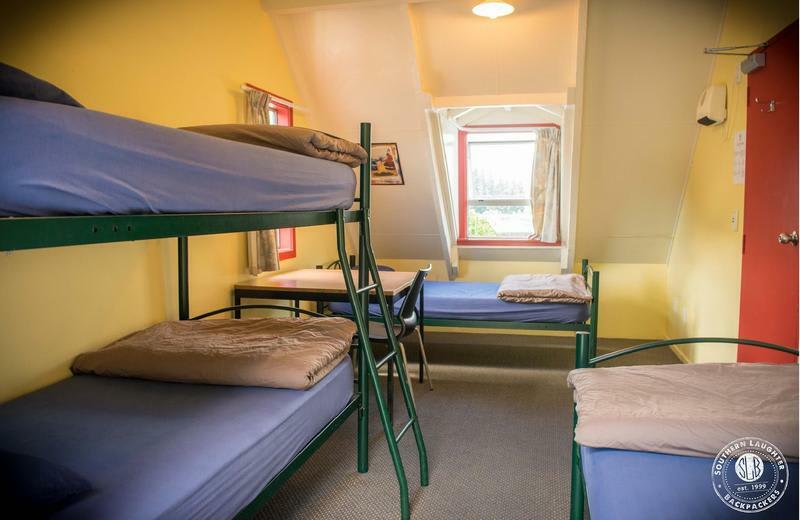 There’s plenty of room to sit up, stretch, or toss and turn in peace all night in this Queenstown hostel! Your pod will make you forget you’re actually sharing the room with anyone! Common areas include a large balcony/BBQ area with awesome views over Queenstown, a communal kitchen, dining room and an airy atrium perfect for relaxing as the adrenaline wears off. There are individual shower and bathroom units on each floor to make sure guests are comfortable and won’t have to spend hours waiting for the shower. Guests can take advantage of free access to Apple TV and Netflix. You can also enjoy a delicious free breakfast, tea and coffee, and soup every night! This really is one of the best hostels in Queenstown if you want a experience Queenstown in style without breaking the bank. 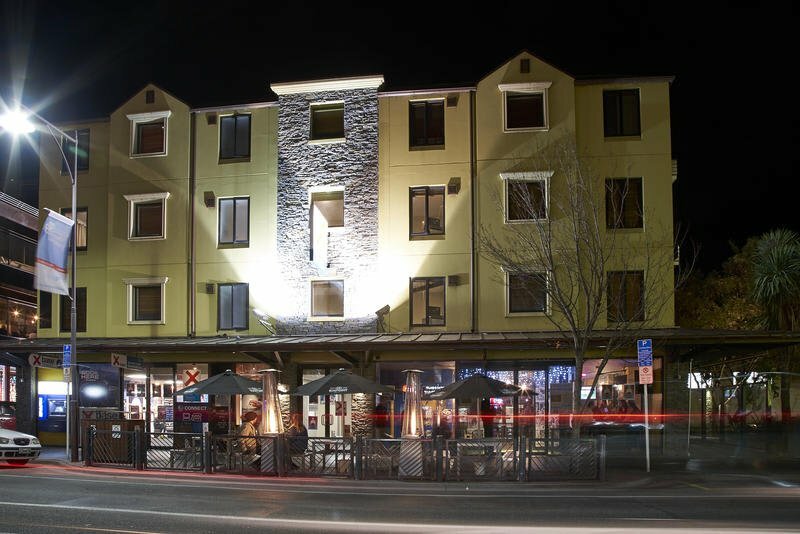 Situated just a five minute walk to the center of town, The Flaming Kiwi Backpackers is one of the best hostels in Queenstown for travelers on a budget. 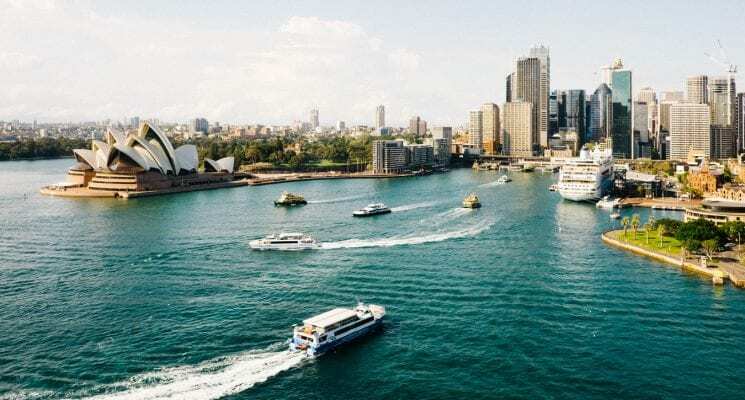 You’ll find plenty of bars, restaurants and nightlife options nearby to keep you busy. They offer free bike hire so you can explore more of Queenstown’s natural beauty, as well as disc frisbees to keep you entertained for hours. Each dorm room offers guests a personal locker, and a power outlet to ensure gadgets remain charged so you won’t miss out on any photo opportunity. There are also USB plugs next to each bed, as well as reading lights so that you don’t disturb fellow guests. 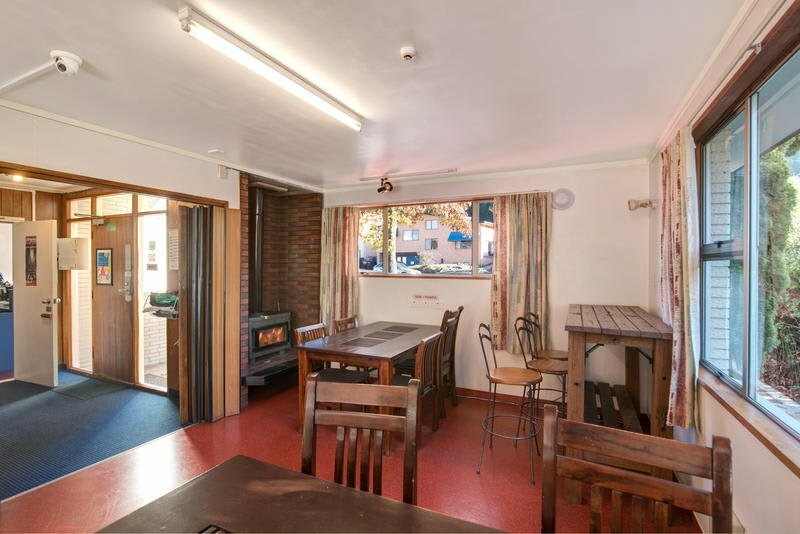 Some of this Queenstown hostel’s fantastic facilities include three fully equipped kitchen (enough space for everyone to cook! ), free coffee and tea, a BBQ, TV lounge room and plenty of board games. So if the weather takes a turn for the worse you’ll be comfortable passing a few hours in this warm and cozy hostel. You can book tours, activities and transport with the friendly staff at the reception desk, and they’ll be more than happy to share their insights into Queenstown’s best sights and hang out spots. Located right in the heart of the city, YHA Queenstown Central is one of the best hostels in Queenstown for travelers on a budget. It might not has the tranquil lakeside location of it’s sister YHA hostel, but being right in the center of town has its benefits too! Within minutes you can find plenty of bars, restaurants and shops to explore. Rooms are basic, clean and comfortable. Each room has an ensuite so you don’t have to worry about long queues for the bathroom in the morning. You can also enjoy access to free tea/coffee facilities to keep you caffeinated throughout the day. This Queenstown hostel is a family friendly, and is a great option if you want to travel with the kids on a budget. It’s great for solo travelers too, and the lounge area is the perfect place to socialize while marveling at the breathtaking views of Lake Wakatipu and the alpine scenery. Whichever adrenaline filled activity you want to try your hand at you’ll be able to organize it here. You can also plan tours of nearby wineries, excursions to the incredible Milford and Doubtful sounds, as well as numerous nearby attractions. And there you have it folks, our guide to the hostels in Queenstown. We hope we made your search for the perfect place to stay a bit easier! As always travel well, and we’ll see you on the road!